Dr. Yasser Khaled is a son of a diplomat that has visited, worked and studied in 15 different countries in 5 different continents around the world. He has a BDS from Ain Shams University, Egypt; a MDSc in Oral Pathology from the same university; a fellowship in Oral Surgery from University Sains Malaysia, Malaysia; a MMSc in TMD/Orofacial Pain from the University of Alberta, Canada and finally a GPR Certificate and an Oral Medicine Certificate from Carolinas Medical Center, USA. He was awarded with hundreds of certificates from all around the world. He has won the Lester Burkett award from the American Academy of Oral Medicine for the best research in 2017. He is currently working as an Assistant Professor in Marquette University, School of Dentistry. He is specialized in Oral Pathology, Oral Medicine and TMD/Orofacial Pain. 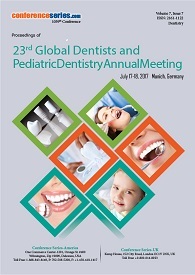 Dr. Yoshiro Fujii has completed his PhD from Aich Gakuin University and been running Shin Kobe Dental Clinic as a manager. He has published more than 13 papers in international academic journals and has been serving as editorial board member of three international academic journals. Special session speaker and organizing committee member of 5th International Conference and Exhibition on Metabolomics. Fouad Abduljabbar is currently a Consultant Endodontist, Coordinator of Endodontic department, Member of Dental Supplies and Materials & Equipment Committee, Clinical supervisor of Saudi board dental student and dental interns, dental services, West Region at King Abdulaziz Medical City, The ministry of National Guard, Jeddah, Saudi Arabia. He is the Faculty and Director of The Academy of Leadership Sciences Switzerland (ALSS). 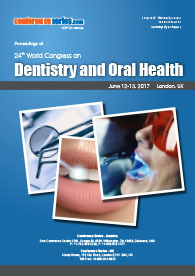 He is the Author of some scientific articles in reputed journals and has presented number of dental lectures, as well as dental courses in and out of Saudi Arabia. H. A. Balcioglu, DDS, PhD, holds the position of Associate Professor in the Department of Anatomy at Istanbul University Faculty of Dentistry. After receiving his dental degree from Istanbul University Faculty of Dentistry, in 2001, Dr. Balcioglu worked as a Research Assistant in the department of Anatomy, for five years, and completed the PhD program, while he also worked in private dental practice. He took part in administrative activites associated with his roles as a faculty board member. He is currently a member of the Board of Medical Specialties Reporting System Commission (TUKMOS) of Turkish Ministry of Health. 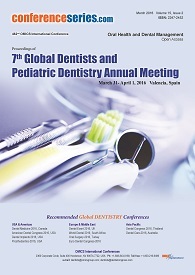 Dr. Balcioglu has lectured as an invited speaker in different symposiums, particularly about TMJ/TMD. His research interests relate primarily to TMJ/TMD, radiologic anatomy and anatomy education. He is a fan of Caykur Rizespor. Dr Henri Diederich has completed his degree in Dentistry in 1985 from the Free University in Brussels, Belgium. He has run his own practice since 1985. He holds additional diplomas in Legal Dentistry and Personal Injury, both from the University of Montpellier, France and is a Sworn Expert in the Luxembourg Courts. Henri is the father of the [email protected] Protocol (registered in the EU). Henri has been teaching Implantology at Post-graduate level at the Hospital Saint- Antoine in Paris, Universidad Europea Miguel de Cervantes, Madrid, and the University of Toulouse. He regularly speaks at conferences as a Keynote Speaker and co-publishes regularly papers on Implantology in European Journals. Henri is the Honorary Consul of Latvia in Luxembourg since 2004. James Ratcliff is Chairman of the Board and CEO of Rowpar Pharmaceuticals, Inc., Scottsdale, AZ, maker of the Dentists Choice and ClōSYS brands of oral care products. In 2014, Rowpar received the US Small Business Administration’s Exporter of the Year Award. From 1989 to 2000, he served as Senior Research Scientist, Professor and Director, Center for the Study of Higher Education at the Pennsylvania State University. From 1979 to 1989, he was Professor and Program Head for higher education at Iowa State University. He is the author of 120 articles, books, book chapters, is co-inventor on over 24 patents and patents pending. He is active Member of the Arizona Biotechnology Assn., American Academy of Oral and Systemic Health, American Education Research Assn., and the International Association for Dental Research. He holds a PhD in Higher Education from Washington State University, a MA in History from Washington State University, and a BA from Utah State University. 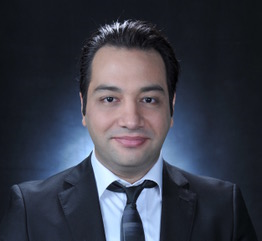 Abou-Rabii has extensive experience in Oral and Maxillo-Facial Surgery and Implant Dentistry. He has received his Doctor of Dental Surgery degree in 1991 and his Post-graduate Diploma in Oral and Maxillofacial Surgery in 1993. He has obtained his Master of Research in Biology and Medicine from Joseph Fourier University in France in 1998 and his PhD in Dental Pharmacology from Auvergne University (France) in 2004. He has Practiced Implant Dentistry and Oral Surgery for more than 27 years. He is a former Course Director of the MSc of Implant Dentistry of the University of Warwick, a fellow of The Academy for Dental Facial Esthetics (IADFE) and a former President of the PTT group in the International Association of Dental Research (IADR). Dr. Paiva is a Doctor of Dental Surgery, specialized in Implatology, Forensic Dentist and Prosthetic Dentist. He has also a course in oral microsurgery, laser therapy, MBA in Marketing and several courses in the area of facial aesthetics. A few years ago he started studying aesthetics and facial function, with the concept of Orofacial harmonization. The intention was to provide the best for his patients because quite often when finishing a complete oral rehabilitation, he could notice the disharmony between the facial structures of the maxillofacial complex. With this new philosophy of work, he began to incorporate esthetic treatments of facial rejuvenation in his clinic. He uses in his daily routine hyaluronic acid, PDO wires (polydoxynone), Botulinum Toxin, and Platelet Rich Fibrin. He developed the approach called 5 steps concept, which is a globalized concept of facial rejuvenation. Samuel Nogueira Lima has completed his degree in Dentistry from the University of Fortaleza in 2000 and has been an Endodontic Specialist since 2002 by the Brazilian Association of Dentistry, where he has earned the title of outstanding student of his specialization course. He has been a Specialist in Orthodontics since 2011 at the Vale do Acarau University. He has completed his Post-graduation in Dental Prosthesis in 2008 at Dental School of the Cearense, Academy of Dentistry. He was a Brazilian Air Force Endodontist from 2006 to 2012, is an Endodontist of the Brazilian System of Health. He has a Master's degree in Endodontics from the School of Dentistry and Medicine São Leopoldo Mandic. He is a Professor at the Faculty of Technology of Alagoas, is a Post-Doctoral Professor in Endodontics and is a founding partner of Endodontics 100% Online and has been working as an Endodontist in his private practice for 16 years. Dr. Hasan Alkumru graduated from Ankara University, Turkey. He worked is currently working as professor at University of Western Ontario.